That early lesson got him through the program and made him a BCIT alumnus. It also became the foundation for a career that had many challenges. As the keynote speaker at the BCIT Alumni Association’s 2018 Annual General Meeting (AGM) on June 11, 2018, Nigel, founder of Aqua Guard Spill Response Inc., a company that provides state-of-the-art oil spill response solutions around the world, shared his story with an audience of BCIT alumni, faculty and staff. Aqua Guard started when Nigel’s friend approached him with a rudimentary prototype of an oil spill skimming device made of a large Tupperware tub with a plastic brush and hand crank. They refined the device and began successfully selling it to organizations across the globe. For decades, they overcame challenges, grew and expanded their products, developing equipment for offshore deep-water spill response, and for the icy waters of the Arctic. By the mid 2000s, with equipment deployed in more than 100 countries, the company was so successful that Nigel received an offer of purchase in 2010. A competitor wanted to buy the company. His dreams had come true, or so he thought. “I thought, ‘Wow, I’ve made it! This is what I’d always wanted’,” he said. “I was ready to sign the papers.” But after lengthy negotiations, personal reflection and soul searching, in 2011, he changed his mind when he was asked a simple question, thanks to Simon Sinek: What’s my why? His answer: to protect the world’s most precious resource—water. “So I took the deal off the table and didn’t sell the company,” he said. 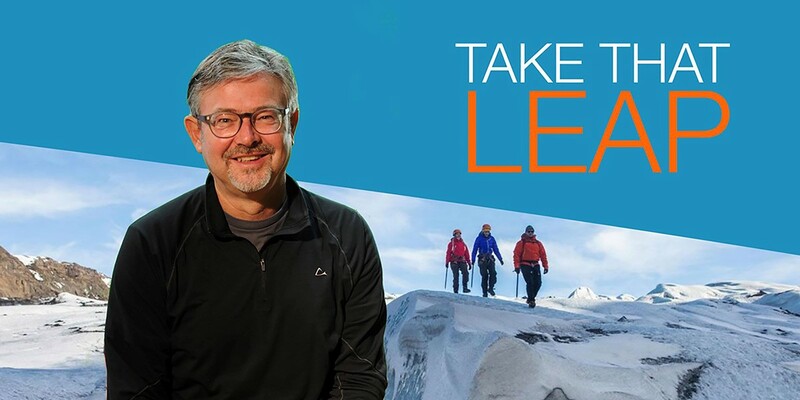 “Instead, I use the company to do good and to bring awareness to many things.” This year, he published Take That Leap: Risking it All for What Really Matters, and has quickly become a sought-after guest speaker. Nigel also released an app called TruBeach to raise awareness of the world’s polluted waters and bring about change. Nigel’s keynote address capped off the BCIT Alumni Association’s largest-ever AGM, with 180 in attendance at the Downtown Campus. Emceed by Elena Romero, BCIT Alumni Association president, who is stepping down after two years at the helm, the AGM also welcomed speakers including BCIT alumnus and Board of Governors Chair Jack Davidson, BCIT Alumni Association members Timothy David and Matthew Nolletti and BCIT Alumni Association Vice President Kiel Landrigan. The meeting included reports from the president, treasurer and a nomination report for the election of directors. BCIT President Kathy Kinloch addressed attendees to introduce INSPIRE, the institute’s most ambitious fundraising campaign in its 50-plus year history, inviting everyone to contribute their time, knowledge and experiences to make the campaign a success. Launching this fall, the multi-year endeavour will raise funds to invest in exciting new infrastructure and new technologies at Burnaby Campus. The evening closed with remarks by BCIT Advancement Vice President Paul McCullough, who emphasized it’s alumni, students and faculty who make BCIT the leading institution that it is, and encouraged everyone to stay connected. Thank you to our Affinity Partners, TD Insurance, Dreyer Group Mortgages, Merit Travel and iA Financial Group for generously donating the door prizes and to Artona Group through whom BCIT Alumni Association offered free professional headshots to alumni at the event. Read the BCIT Alumni Association 2017/18 Annual Report. See photos from the event. 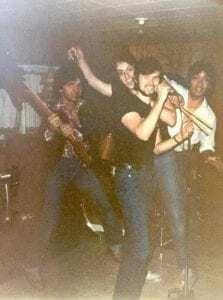 Middle: Lead singer Nigel Bennett and two of his BCIT Mechanical Technology classmates Les Ostig and Thad Tobodo shredding some metal in 1983. 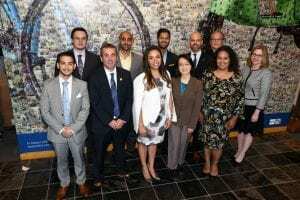 Bottom: BCIT Alumni Association Board of Directors for 2018/19. L-R back row: Christian Colquhoun, Arash Salamati, Avinaash Kapil, Kiel Landrigan, Emil Bosnjak. Front row: Matthew Nolletti, Andrew Murray, Elena Romero, Alexandra Gunn, Manpreet Dhillon, and BCITAA Executive Director Leslie Courchesne.